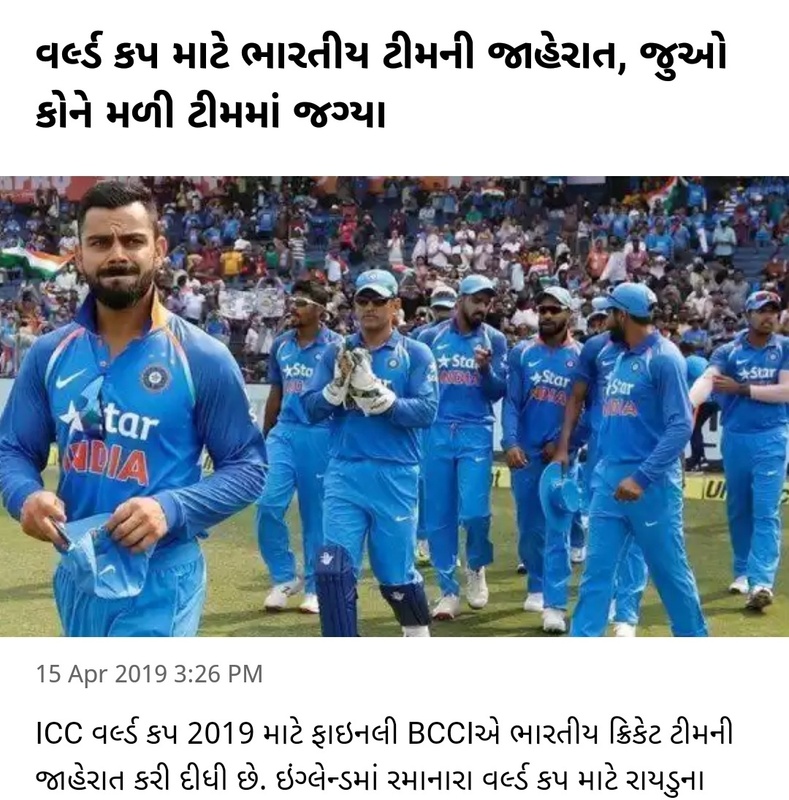 the Board of Control for Cricket in India (BCCI) on Monday announced the 15-man India squad for the upcoming ICC World Cup. Chairman of selectors, MSK Prasad and acting secretary of the Indian board Amitabh Chaudhary read out the names one by one with a couple of minor changes in the team. Dinesh Karthik stumped young wicket-keeper Rishabh Pant to make a surprise entry in India’s 15-member squad for the World Cup 2019, announced by the Board of Control for Cricket in India (BCCI) in Mumbai on Monday. On paper, it seems India decided to stick to the One-Day International squad they fielded over the recent few months — in the ODI series against Australia and New Zealand — except for a surprise inclusion and two exclusions. Along with Rishabh Pant, Ambati Rayudu is set to miss the flight to the UK after having failed to impress much with the willow. As expected, Rohit Sharma, Shikhar Dhawan and Virat Kohli were picked for the top three spots. KL Rahul was included as the back-up opener. Talking about KL Rahul, chief selector MSK Prasad said: “We also have a role for KL Rahul in the top order, he is the reserve opener.” Tamil Nadu all-rounder Vijay Shankar made it for his “three-dimensional” qualities. Ambati Rayudu, who has been India’s No.4 since last year’s Asia Cup, had an indifferent Australia series and has not set the IPL on fire either. Rayudu’s highest score in the Australia series was 18. Even against New Zealand in January, he only managed one 50-plus score.